What causes Irritable Bowel Syndrome? Could it be a Bacterial Overgrowth in the Gut? Irritable Bowel Syndrome (IBS) is a common condition affecting the GI tract of up to 14% of the American population. In this blog, we will convey the findings of an important article published in The Journal of American Medical Association in 2004. This article gives evidence to explain a unifying cause for IBS. A unifying framework to understand the cause of IBS has not been discovered. IBS is a “puzzling condition with multiple models of pathophysiology including altered motility, visceral hypersensitivity, abnormal brain-gut interaction, autonomic dysfunction, and immune activation.” Given the multitude and diversity of symptoms and observations of IBS, finding a single explanation has mystified researchers and health practitioners alike. As a consequence, there is exists no testing or consistent treatment for IBS to date. According to the article, there's a possibility that intestinal bacterial overgrowth (SIBO) can explain IBS and most of symptoms. Understanding a potential cause is critical for the millions of Americans suffering from IBS, because if you know the cause you delineate an effective treatment. There are dozens of symptoms of IBS, and few of them affect everyone with IBS. The article’s researchers used the symptom of bloating to provide clues towards a unifying explanation, because 92% of IBS patients experience bloating. They found that SIBO provides an explain for bloating, along with most other IBS symptoms. According to the article, SIBO is likely to be an underlying cause of IBS. 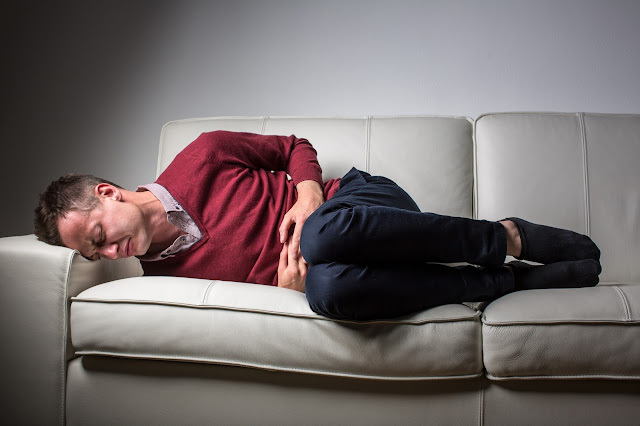 Studies show that there is "a 75% improvement of IBS symptoms after eradication of SIBO.” Because removing SIBO can provide such a massive improvement of symptoms is highly suggestive that SIBO is a major cause of IBS. Other symptoms, such as the change in intestinal movement and sensations, an alteration of central nervous system activity, and “an increased sympathetic drive and immune activation may be understood as consequences of the host response to SIBO” as well. The eradication of SIBO was able to remove the malabsorption of “lactose (86.6%), fructose (97.5%), and sorbitol (90.9%).” SIBO can also explain how a sugar intolerance is developed in IBS patients. It is not that IBS patients have a true sugar intolerance, but rather sugar can not be absorbed in the intestine due to bacterial overgrowth. Bacterial overgrowth weakens food absorption and harms the gut. There is no specific food intolerance that can explain IBS, but SIBO can. According to the article, “if food is not moving down to the bacteria, the bacteria may be moving to the site of food assimilation for fermentation and gas production to take place.” Bacterial overgrowth in the small intestine can cause fermentation and the production of gas for both easily digestible and poorly digestible starches in areas of the small intestine where there is not normally any bacteria. This is an explanation for the bloating experienced by IBS patients. In addition to bloating, many patients with IBS experience abnormalities of their nervous system; including disturbed sleep, and “flu-like symptoms of fatigue, anxiety, depression, and impaired cognition.” Bacterial antigens are known to cause all of the symptoms when our immune responds to them. This is another indication that SIBO could be the cause. The article provides numerous additional explanations for why SIBO might by a universal and underlying cause of IBS. One of the most distinctive arguments is the “dramatic reduction in symptoms when antibiotic therapy is given” and SIBO is eradicated from the intestines. If removing bacteria overgrowth in the small intestine heals IBS patients, that is a likely cause. The article states that it is, “biologically plausible that the gastrointestinal and extraintestinal symptoms and findings of IBS have a single, unifying explanation.” This explanation is SIBO. They documented that nearly all symptoms of IBS can be explained through the framework of SIBO. With a better understanding of the cause of IBS, we can discover better treatment and diagnostic approaches to IBS. Treatment and testing will be a much-welcomed progress for anyone suffering from IBS. Even though antibiotics can eliminate SIBO, their continual use is not a feasible option. Therefore; the article suggests that future research around IBS be focused on understanding bacterial growth and its control in the gut. Kay’s Naturals is a whole food company dedicated to providing convenient and affordable snacks and cereals that meet many dietary restriction. We provide high crunch and great taste while being all-natural, low-sugar, fiber-rich and loaded with protein. To learn more about us, visit our website.